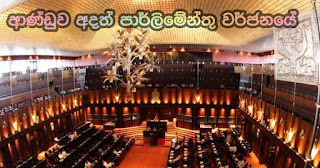 Government boycotts parliament today too! MP Mr. Kiriella pointed out that when parliament gathered today that there is nobody to pass an Act or to pass a budget in parliament and that the country has fallen into a sorry state of affairs. MP Mr. Nalin Bandara said that action has to e taken in respect of damages caused to the House during recent past and to inform its progress. The Speaker then responded saying that investigations are already underway. police refused to accept that complaint and thus there is a possibility about security. Former Minister of Finance said that there no country in the world has acknowledged the Mahinda Government. He said that if the unauthorised government was active in December and since there is no Finance Minister responsible to the parliament, state funds would not be able to be channelled to carry on the government in the country and that the problem of paying salaries of government servants in 2019 along with other issues would crop up. What MP Mr. S.M. Marikkar said was that when the Prime Minister has already been defeated from a no faith motion and is still appearing as the Finance Minister and Prime Minister, an order to release a sum of $ 5300 that was confiscated has been issued. 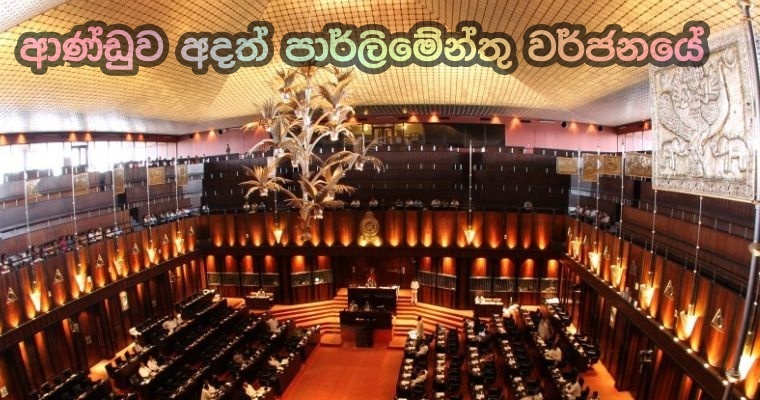 In the same way he said that there are some media broadcasting live telecasts of discussions taking place in committee halls in parliament talking about government without those politicians boycotting parliament when the House is in progress; therefore to look into this matter. In the meantime MP Mr. Rauff Hakeem pointed out that Speaker should issue a prohibition order because of the media which identify this government where ministers and Prime Minister calling themselves with such designations against the law are thus misleading the public. MP Mr. Gamini Jayawickrema spoke and said that he still suffers from the chilli-attack on his eyes and that he was given medical advice to undergo a special eye check up for 2 hours.In the same manner he finally said that this counterfeit government has still not put a stop to their 'baiting operations' and that he came to know that his relation MP Mr. Edward Gunasekera was promised 2000 lakhs if he is to switch over. Though parliament convened today (27) at 1 in the afternoon, the government party boycotted the House today too. As such only United National Front and the Opposition attended the gathering. When parliament assembled today, a proposal was made to postpone the subject of the tourist industry collapsing with the political crisis flaring up within the country. Prior to the assembly the party meeting of both leading parties commenced in the parliament executive room while the United National Freedom Alliance too assembled, presided by Mr. Mahinda Rajapaksa and the United National Party collective meeting was held with Mr. Ranil Wickremasingha taking the chair.